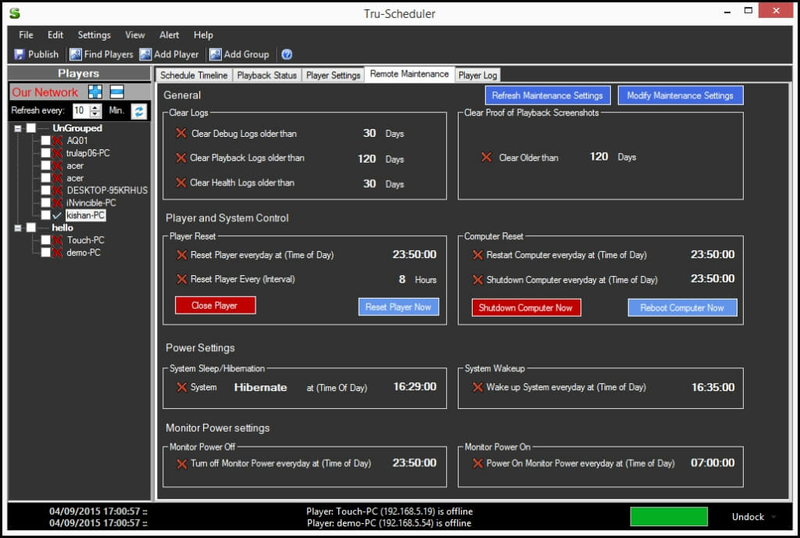 Tru-Scheduler is a very powerful and an extremely intuitive content manager and is a part of the Tru-i Suite. 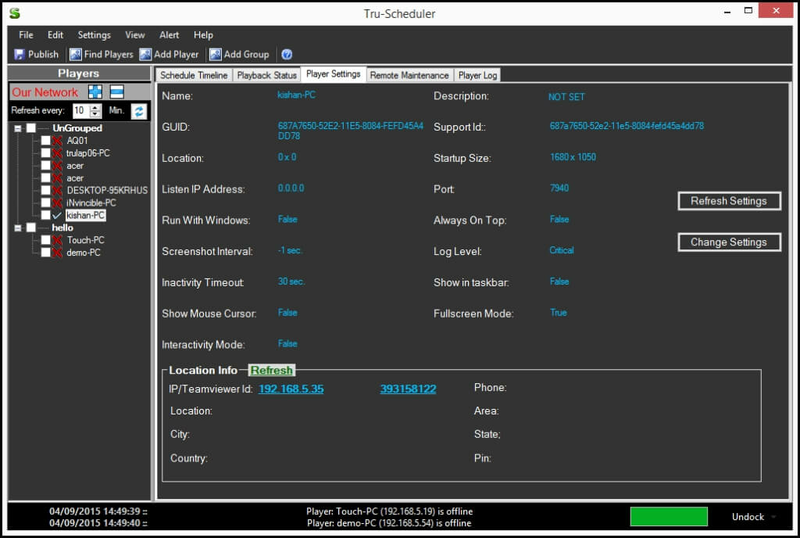 A remote control for your digital signage network, the Tru-Scheduler helps you run a single screen or a global Digital Narrowcasting network. 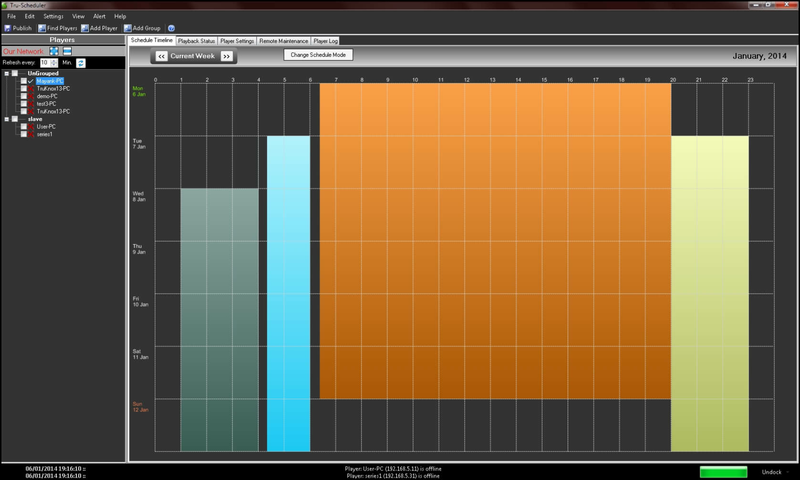 Tru-Scheduler is a very powerful and an extremely intuitive content manager and is a part of the Tru-i Suite. 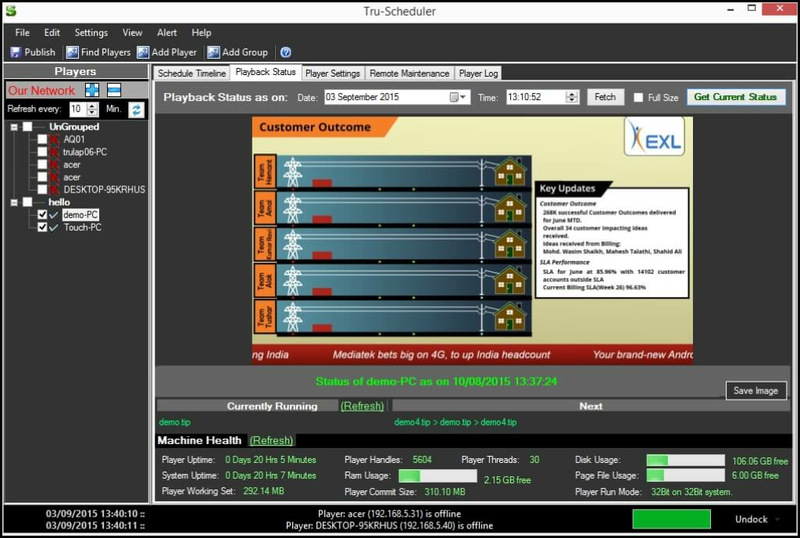 Tru-Scheduler module of the Tru-i Suite manages the signage presentation using the time line for each hour or day as per user preferences. The powerful scheduler’s clockwork efficiency makes sure that your content always reaches the right audience at the right time, seamlessly. This competent tool takes care of complete network management and execution, generating multi-fold business opportunities and letting you expand your capabilities. Smartly schedule presentations according to the time of the day, control your screens, capitalize on your investments, take screen shots, reboot etc., or trigger an emergency alert just in case. 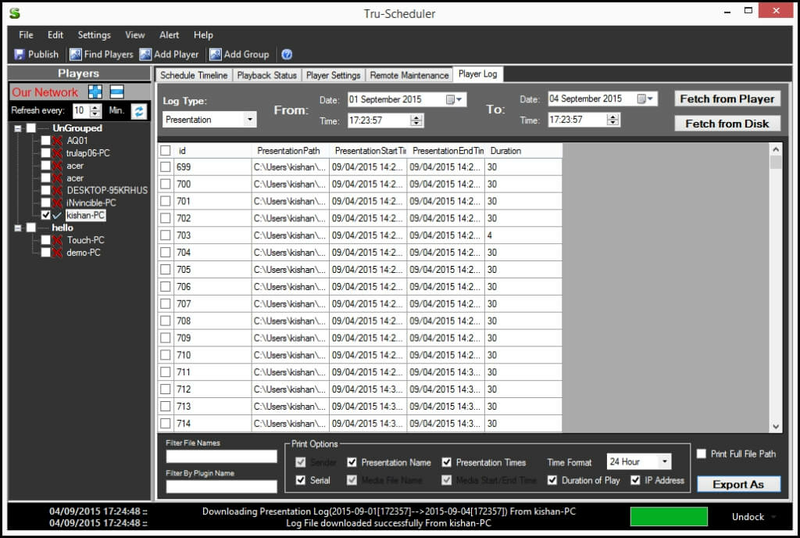 This narrowcasting scheduler module is an excellent medium for strategic content planning and distribution, providing an effortless and unparalleled experience. Smart Data Transfer updates only the changes in existing content. Allows to reboot, take screenshots and check player health from the central server. 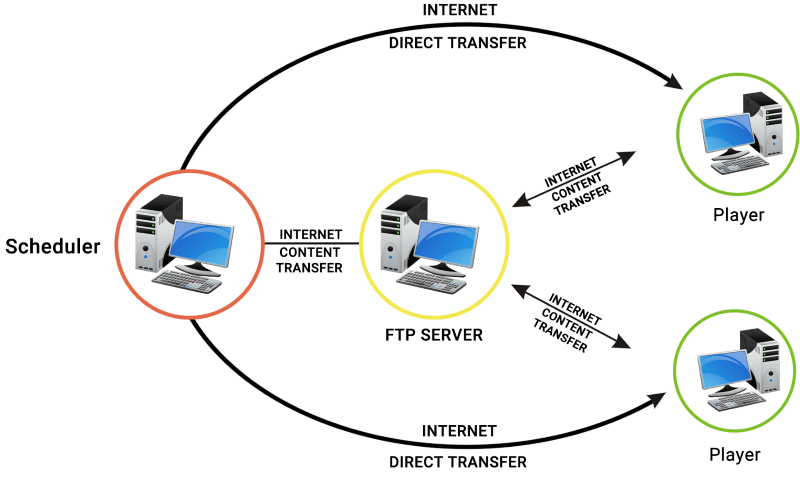 Resume Capability of Data tarnsfer-Eliminates the need to transfer files from scratch after network breakdown. Like it, lets take it forward! 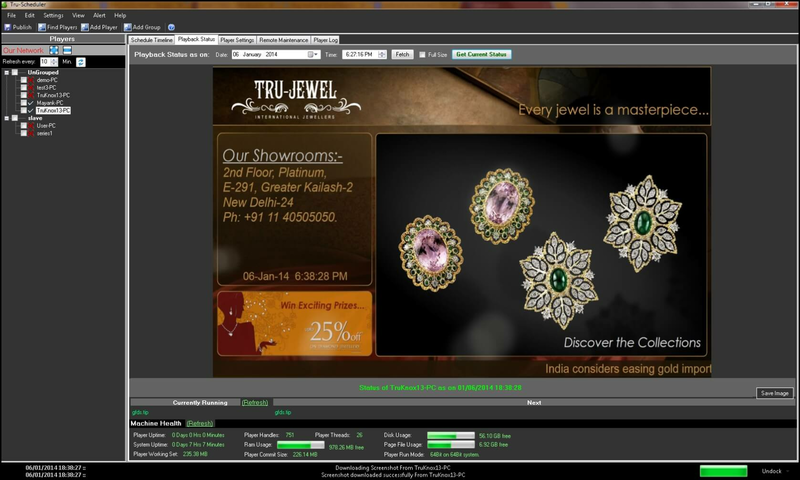 Tru-i Suite, a package of possibilities for the field of digital signage defines the future of narrowcasting. It is a comprehensive digital signage solution for designing. Copyright © 2016 TruKnox Technologies Pvt. Ltd.